Grab your teens' attention from the moment they step into the room. Posters and reproducible master pages engage the eyes of your high schoolers. 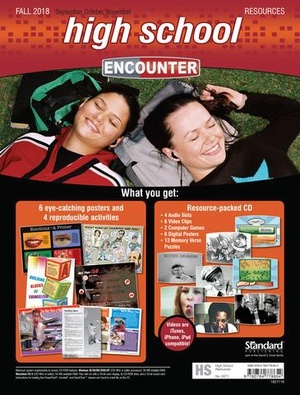 The enhanced CD-ROM includes 4 audio skits, 6 posters in digital format, 2 virtual student pages in Macromedia Flash® format, 6 QuickTime® video clips, and 13 Bible memory puzzles.